Who was Kamiakin and why was this Native Indian chief famous? Summary: Kamiakin (1800 - 1877) was a chief of the Yakama Indian Nation in Western Washington State. 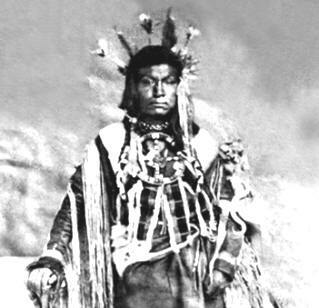 Chief Kamiakan called upon tribes to oppose the 1855 Yakama Treaty, which led to the Yakima War (1855-1858). Along with other tribes, they held off U.S. soldiers for about three years. In 1858, at the Battle of Four Lakes near Spokane, the Yakama Indians were decisively defeated. Kamiakan died in 1877. The following fact sheet contains interesting facts, background history and information about the life of Kamiakin and the events in history that led to his fame as a great Native American Indian leader.